Smoothies make a perfect healthy breakfast or snack. 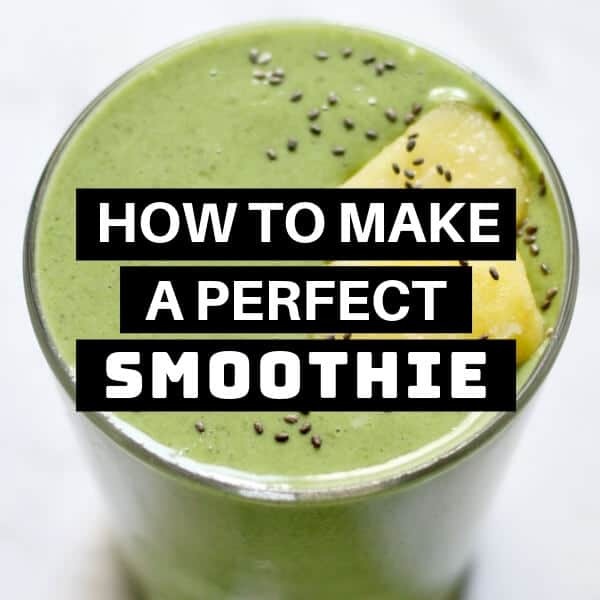 Here’s your ultimate guide on how to make a perfect smoothie every time, including a months worth of amazing smoothie recipes that will keep you feeling full and satisfied for hours. Smoothies are a great way to boost your daily intake of nutrients and minerals and the perfect staple to a healthy, well balanced diet. But not all smoothies were created equal. 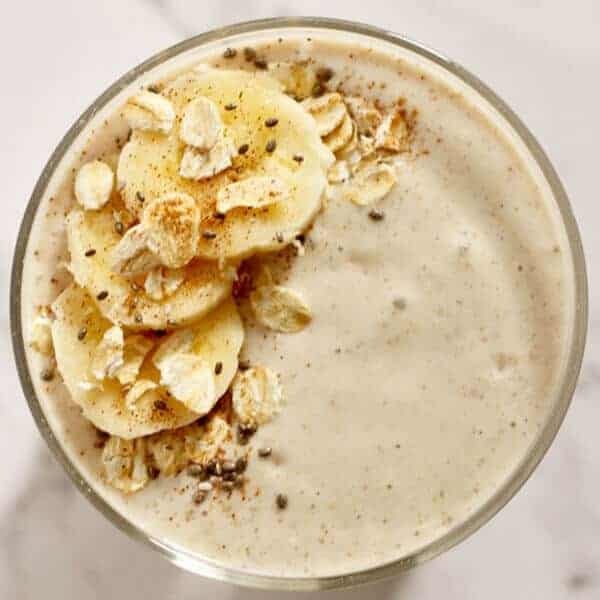 If you’ve been dumping ingredients into a blender and hoping for the best, only to be greeted with a sad, tasteless smoothie – this guide is for you. 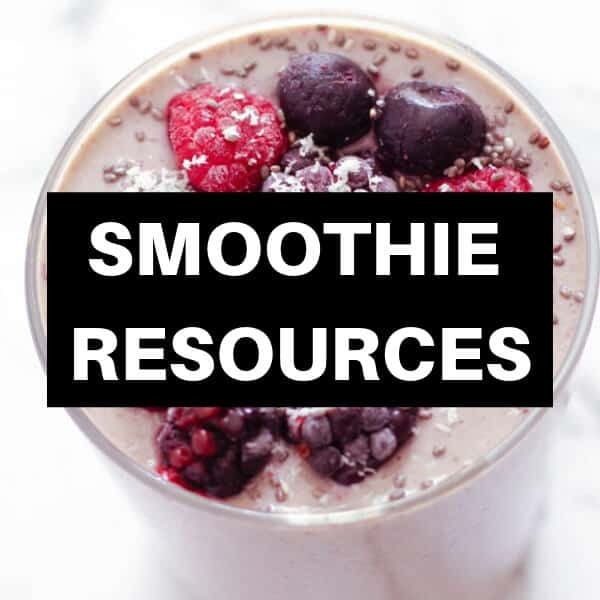 Learn how to make the perfect smoothie, choose your own adventure with our extensive smoothie ingredient list, discover more tips and tricks in our resource list and bookmark some mouthwatering recipes for later. First things first – you need to get yourself a high performance blender. If you’re wanting to make great smoothies, it’s important to invest in the right equipment. Cheap crappy blenders = a chunky unappealing smoothie. But never fear – a good blender doesn’t have to break the bank. We bought our Ninja Blender for around $100 (I love using the cup attachment for my smoothies). Shop around and find the right blender for you. This guide should help get you started. As you start to experiment, you can work to increase the amount of vegetables and decrease the amount of fruit to suit your tastes. Do this process gradually to allow your tastebuds to adjust. 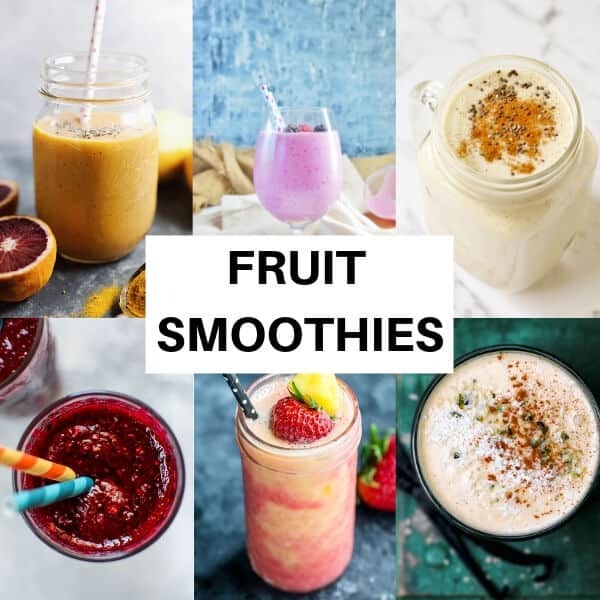 It might seem like a no brainer but when it comes to making a great smoothie, you need to choose ingredients that appeal to you. Don’t feel pressured to use an ingredient just because of its claimed health benefit. If you can’t stand almond milk, choose a milk you like. If you hate kale, try another green instead. And if you’ve never liked blueberries, don’t make a blueberry smoothie. Simple! Frozen fruit and vegetables help to make smoothies more thick and creamy, and having them on hand means you can enjoy a smoothie anytime. You can buy pre-packaged frozen fruit and vegetables in the freezer aisle of your local supermarket if you’re in a pinch, but I prefer to make my own. It’s a great way to reduce food waste and if you buy your favourite ingredients on sale, it works out to be a lot cheaper. Optional – Flash freeze to prevent your ingredients from freezing in one lump together. Spread the fruit and vegetable chunks onto a baking tray and put it in the freezer for approx. 1 hour. 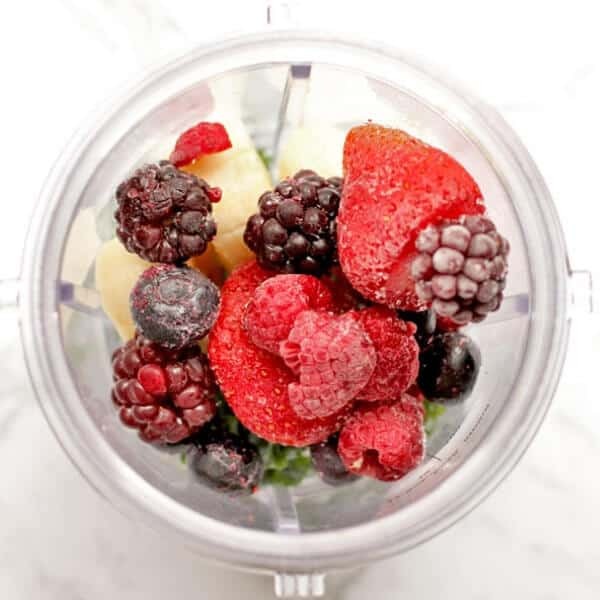 Frozen fruit and vegetables will last in the freezer for up to 3 months. There are so many ingredient options when it comes to making a smoothie. 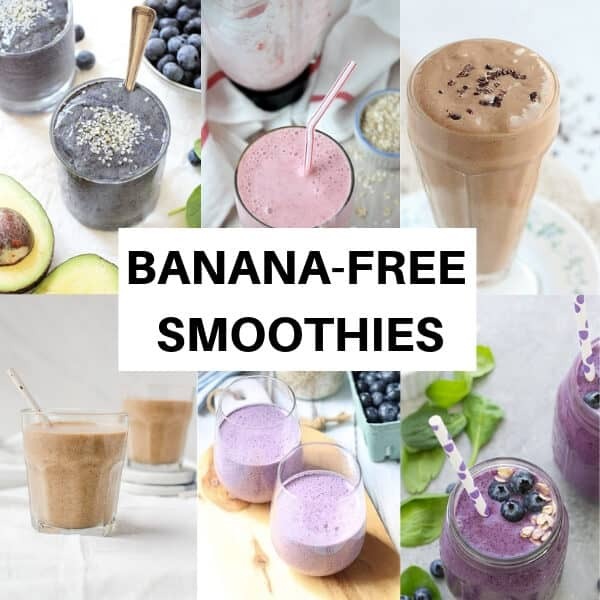 When you first start experimenting with smoothie combinations, try and choose ingredients that are familiar to you and stick to your favourite flavours. There’s no need to go and buy a bunch of expensive ingredients, especially all the ones listed below! Stock your fridge with your favourite milk, freeze a small mixture of fruits and vegetables and pick one or two boosters from the list below like chia seeds or nut butter to have on hand. You can then slowly start to build on your smoothie ingredients as you go. Here's the basic formula for making a great smoothie, every time. 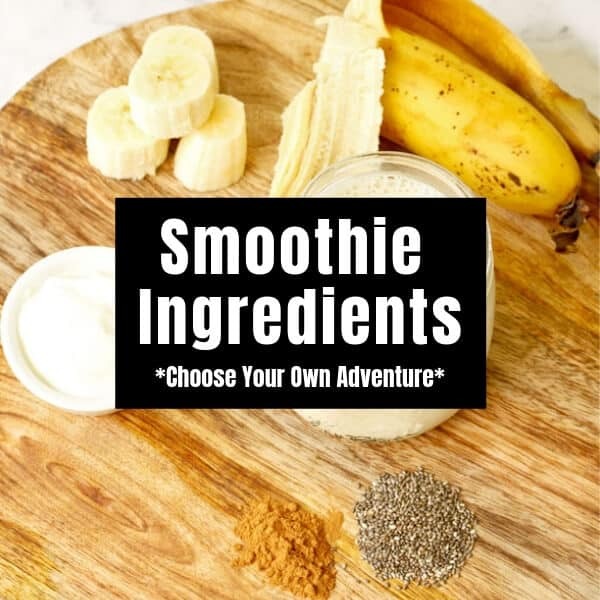 Start with just 2 ingredients and choose from a bunch of optional add-ins to create a delicious smoothie. Place smoothie ingredients, including any add-ins, to a high performance blender and blend until smooth. Nutrition - Nutrition information is based on one smoothie with milk and fruit, no add-ins. Nail the basics of smoothie making and you’ll find yourself making better smoothies instantly. Here’s a few more resources with some helpful tips and tricks. Not sure which smoothie booster is right for you? Check out these guides that explain just what each ingredient can do for you. 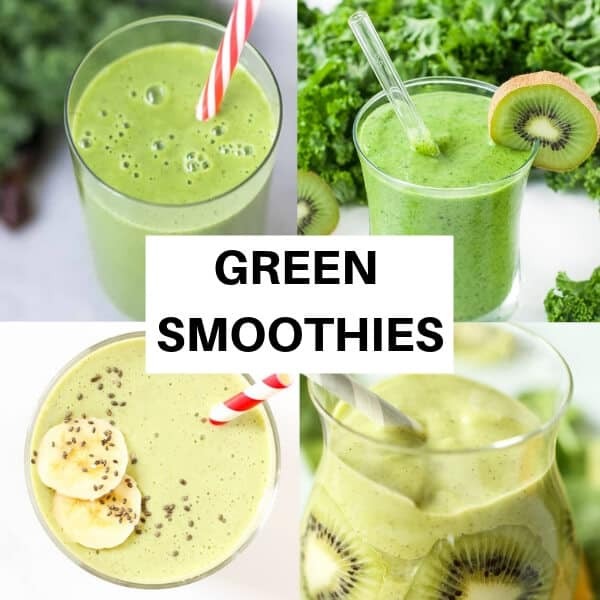 Green smoothies have gained popularity over the past few years and are a great way to increase your vegetable intake. But without striking the right ratio you’ll end up with a smoothie that tastes like grass clippings (or worse). Here’s a few guides to get your green smoothie from meh to mmmmm. Ready in minutes and filled with fruits and vegetables, smoothies are great for as an on-the-go breakfast or a 3pm pick-me-up. 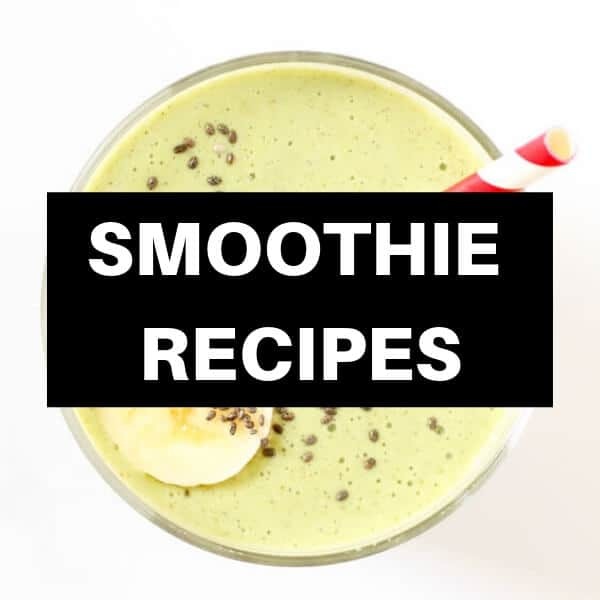 Whether you’re running out the door or taking your time sipping at home, here’s 30 smoothie recipes that will keep you feeling full and satisfied. New to the smoothie game? Start with some of these delicious fruit-only smoothies. Ready to start throwing some greens into your smoothies? Here’s some delicious mixes that nail the ratio to give you a tasty smoothie with zero grass taste! Ready to start experimenting with more adventurous flavours? 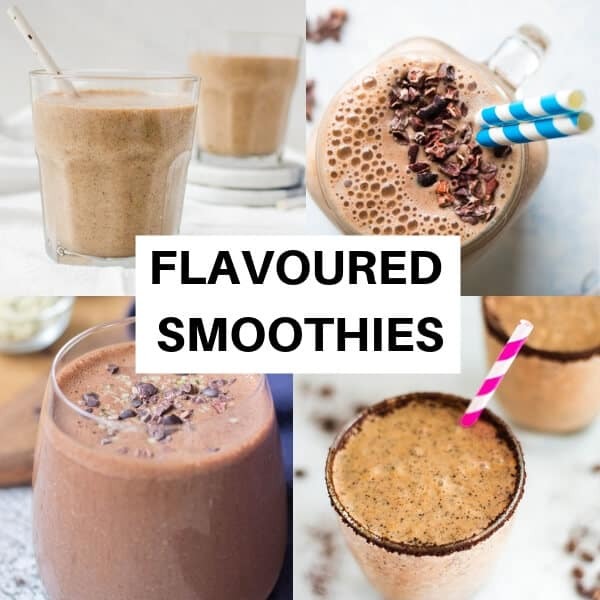 Try these smoothies that are flavoured with chocolate, coffee and sweet potato. Bananas are ubiquitous with smoothies, but they aren’t for everyone. The great news is, you can still make a delicious and creamy smoothie that’s 100% banana-free. Get inspired by the recipes below. Smoothie bowls are just thicker smoothies that you eat with a spoon. Top them with your favourite nuts and seeds for some extra crunch. 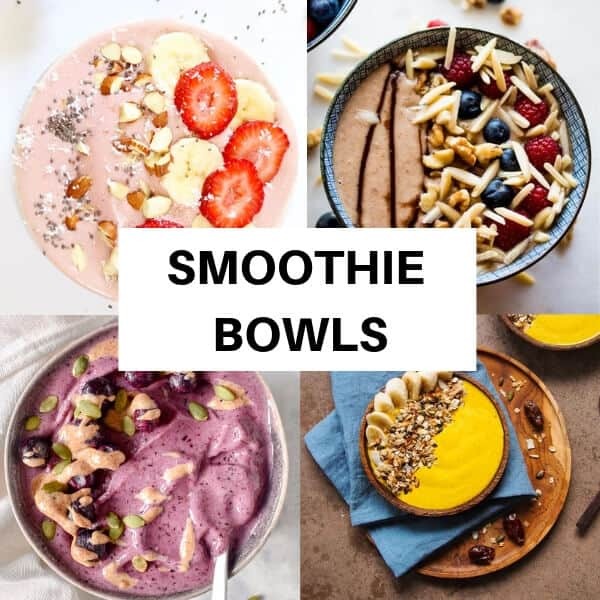 Here’s some scrumptious smoothie bowls to get you started. 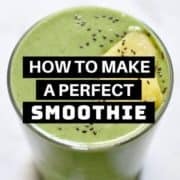 I hope you loved this ultimate guide to making a perfect smoothie and that you’re feeling more encouraged to start experimenting and creating your own delicious smoothies. Am I missing a delicious must-try smoothie recipe? Let me know in the comments below! 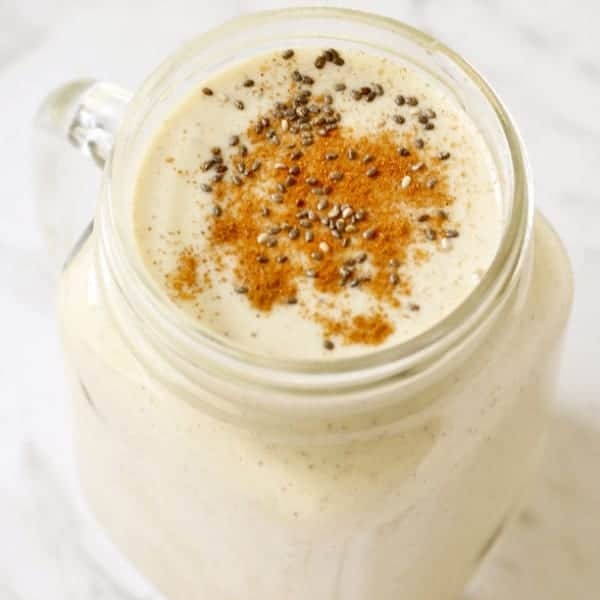 I love a great smoothie – in fact, I drink one every morning and sometimes at the end my day for my dinner! I typically infuse my smoothie with tea (steeped green tea, herbal tea) and the amp it up I ad 1/2 teaspoon of Matcha from The Amazing Tea Company (www.theamazingteacompany.com) Now you talking son! That sounds very interesting Drea! I haven’t added tea or matcha to my smoothies before. Will have to give it a try. Wow, so many great options here Cassie! Love them all. Thanks for sharing my Mixed Berry Oat Smoothie Recipe. Love a good smoothie bowl! Thanks for including my beet smoothie in this lovely roundup! Great tips in here!! I’m a sucker for beets! Such a great resource! Now I need a smoothie… 😉 Thanks for sharing my Chocolate Sweet Potato Smoothie Bowl! Thanks Raia! Love how unique your smoothie bowl is – yum! !